Cheap ATV Parts. Find the Best Deals. Are cheap ATV parts what you really want? Or do you want ATV parts that will do the job for the least amount of moolah? If you think about it, how many times has the part with the cheapest price really been the best value? So what you really meant to ask was "Where can I get the best bang for the buck"? Right? Now we're getting somewhere. Let's see if we can help you find some deals. Check out our ATV Parts Guide for great deals! Best Sources of Cheap ATV Parts. ATV Salvage Yards- If you have one near you, and if they have the parts you need, an ATV salvage yard can be a great place to find good, cheap ATV parts. 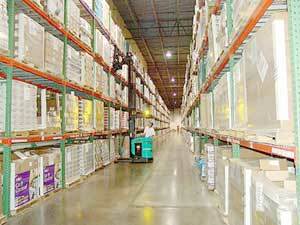 Many are hooked up with parts locator services, so they may be able to find the part you need. There are also parts locators online. You need to be a little more trusting to go this route, but it could be worth it if you're not having any luck locally. Online Auctions - Like E-bay Motors. Be your own parts locator service by searching for what you need. Be sure to use every description you can think of for the part you want. If that doesn't work, back up and do a search for the make and model of your ATV to see everything available. Online Classified Ads - A lot more time consuming, but it seems like prices may be a little lower than online auctions. It just takes a while to sift through all the possibilities. Craig's List is the most popular source of cheap four wheeler parts. ATV Forums - Look for an active one for your brand of ATV. Most will have some sort of for sale section. It's not a bad idea to post a question asking if anybody knows where you can find the part you need. Most forum members are pretty good about helping out a fellow rider. Especially if they're ridin' the same brand as you. 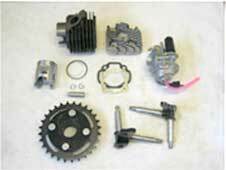 Online Discount ATV Parts Dealers - Now we're going from used into new parts. 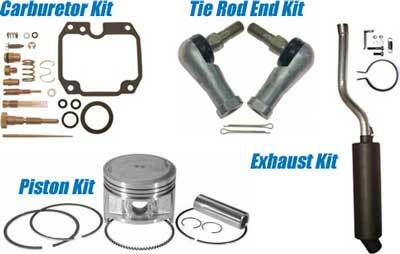 Even though these are cheap ATV parts, they may be OEM overstocks or returns. A lot offer cheaper aftermarket 4 wheeler parts. These may work as well as the OEM parts. You just need to know what you're getting. There are several online discounters now offering OEM ATV parts at discount prices as much as 15% to 20% off retail. And they may be more likely to have the part you need in stock. ATV Parts Wholesalers - Local wholesale distributors normally sell only to businesses or at least require a local retail sales permit. These are easier to get than you may think. If you find yourself fixing your buddies rides, why not go legit and make a business out of it? Local ATV Dealers - May offer discounted ATV parts to club members, either national or local. Might be a good reason to form a club if there isn't one in your area. If you're an ATV dealer, giving your local riding clubs a discount can sure help generate a lot of good will, loyalty, and positive word of mouth. Not to mention some extra dollars. Local Classified Ads - Like your local newspapers. Probably a long shot, but you see some screamin' deals in some of these a lot of the time. Plus you might see a ride you would rather have than trying to fix your old one! Word of Mouth - If all else fails, ask around. I never fail to be surprised at all the stuff this method turns up. Post on local bulletin boards at dealers, or even supermarkets like Wal-Mart. Ask around at riding areas, ask everybody you know, ask local mechanics, etc. You have to put some effort into this, but it can pay off big time. We hope these tips will give you a few ideas for saving some bucks or at least give you a few extra sources for cheap ATV parts. After all, those quads ain't much fun sitting in the garage.